Here at the Frontline Health Workers Coalition, we often say “American leadership matters” in driving action toward addressing the human resource gaps that severely hinder progress in saving lives and enabling prosperity around the world. This statement clearly rang true on Saturday as health ministers wrapped up a busy World Health Assembly (WHA) in Geneva. U.S. leadership to build momentum on renewed global action to address health workforce gaps started last year as the global health community was preparing for the Third Global Forum on Human Resources for Health in Recife, Brazil. In the lead up to the Forum, Dr. Ariel Pablos-Mendez, Assistant Administrator for Global Health at the U.S. Agency for International Development (USAID), spoke passionately during a United Nations General Assembly side event about the need to come together on a global strategy to build the health workforce needed to deliver crucial services post-2015. USAID convened leaders from around the world to discuss the need for the strategy during the Recife forum, and USAID subsequently worked with the Global Health Workforce Alliance (GHWA) on developing a consultation process for such a strategy. 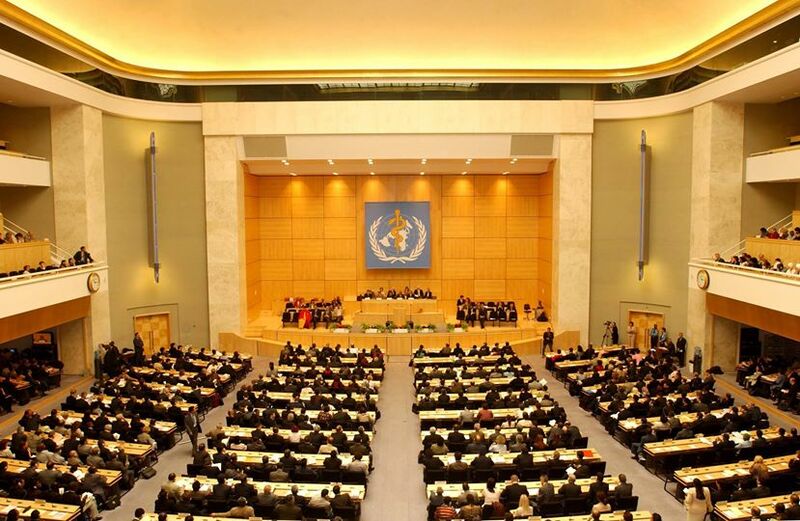 Which brings us back to Geneva, where ministers on Saturday passed a resolution calling for the creation and approval of a global strategy on human resources for health by the 2016 WHA. The resolution, which also affirmed the Recife Political Declaration, was roundly supported by member states around the world. However, the impetus to come together was driven by political leadership – and we are thrilled to see the United States helping to lead that charge. The 67th World Health Assembly. Courtesy World Health Organization. Take a minute to think about why global action on this issue is so important. Let’s start with our health needs in the coming century. The 2010 Global Burden of Disease study in the Lancet found, as Laurie Garrett of the Council on Foreign Relations put it, that the “world population is living longer in nearly every region, but suffering poor health and chronic disease through most of its gained years of life.” Now let’s talk about our ambition – compacts have been agreed to or are being advocated for that aim to end preventable child deaths, usher in an AIDS-free generation, provide voluntary family planning access to 120 million more women and girls, and achieve universal health coverage, among others. Add up our growing need and our ambitious yet achievable targets, and they simply do not match our actions to support the health workforce necessary to deliver services, especially on the frontlines of care in rural and remote communities. According to the World Health Organization and GHWA, at least 83 countries lack sufficient health workforces to provide essential health services to their populations, and this doesn’t even account for equitable access issues within countries. WHO and GHWA estimate at least 7.2 million doctors, nurses and midwives are currently needed globally – a gap that could creep to nearly 13 million by 2035 if we keep with the status quo. Yet, we’ve also seen remarkable progress on issues like maternal and child mortality in countries like Ethiopia and Nepal that have made a focused effort on increasing access to health workers in the most neglected areas. A strategy that commits and focuses the world’s attention on ensuring everyone has access to a trained and supported health worker – backed by targets and indicators in the post-2015 development framework – will go a long way in realizing our global health goals in the coming decades, including achieving universal health coverage. Through its foreign assistance programs, the United States has long been working with partner countries to strengthen the global health workforce. As the Millennium Development Goals reach their target date next year, the U.S., along with country governments and other development partners, must continue to strengthen these programmatic efforts and must step up political leadership to rally the world toward ensuring we have the health workforce we need for the decades to come.